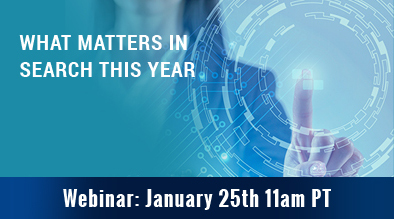 The Milestone team presented an educational webinar, What Matters In Search this Year, to highlight the latest digital trends as we kick off 2017. Your strategy this year is all about understanding your customer’s world, what motivates them, and what gets them to want to interact with you. Focusing on omnichannel; removing internal barriers to make sure that people inside your organization or across the organizations that work for you are working towards a common goal. And don’t forget that 2017 is the year that mobile is no longer the future… mobile is the present, and it should be the very first thing you think of, when you think of interacting with your clients. This Webinar highlights these topics and more, as illustrated by some of Milestone’s top experts in digital marketing. You can’t afford to miss it. Thank you to Benu Aggarwal and Walter Paliska who hosted the webinar and everyone who joined!